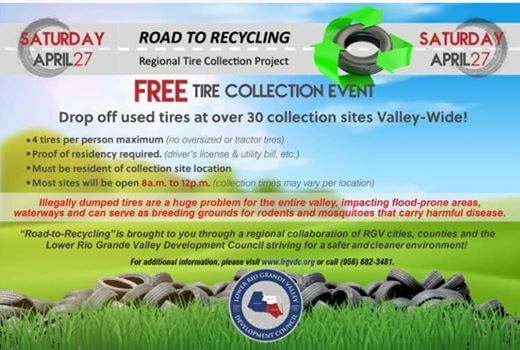 Illegally dumped tires are a huge problem for the entire valley, impacting flood-prone areas, waterways and can serve as breeding grounds for rodents and mosquitos that carry harmful disease. 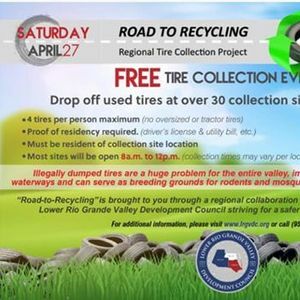 Drop off used tires at over 30 collection sites Valley-Wide! Regional Map of Collection Sites will be posted on April 18th. 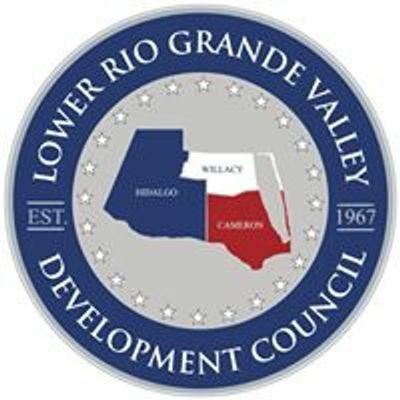 For additional information, please visit www.lrgvdc.org or call (956) 682-3481.